Good Tidings Holiday Gift Bag is rated 5.0 out of 5 by 33. Rated 5 out of 5 by David2003 from Christmas Popcorn Gift Basket for Lab The Christmas Gift Basket I had sent to the Lab was delivered on time and they loved it. Rated 5 out of 5 by WEW1 from Thumbs up! I was happy it was delivered on the exact day I asked for! Rated 5 out of 5 by Marajune from Tasty products I sent this to my sister for Christmas and she really enjoyed all the goodies. She said they were fresh and delicious. Rated 5 out of 5 by clj2970 from Christmas present I ordered it for friends as a Christmas gift, they said 'thank you'. Rated 5 out of 5 by YiaYou from This was a gift for someone out of town. I did hear from the recipients and they said they liked it and it did arrive exactly on the day I asked for delivery. Thank you very much. Rated 5 out of 5 by 1Cee from Tasty This was a Christmas gift and the recipients really enjoyed the variety. This year, we wanted to create a bright, festive gift bag to get people as excited for the holiday season as we are. 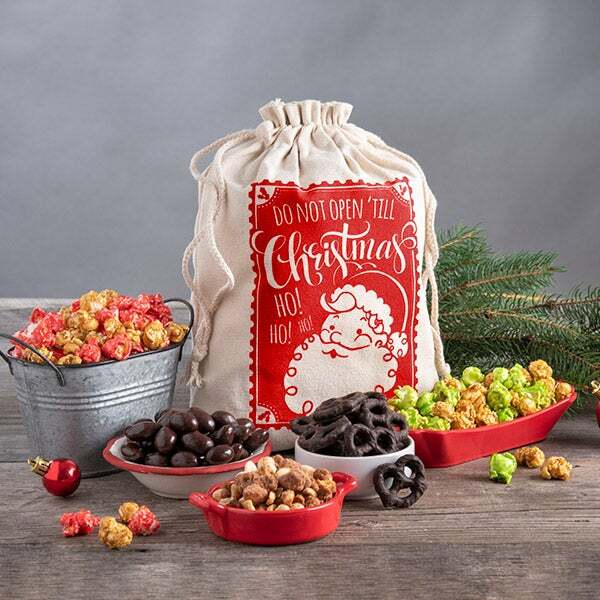 So, we paired up two of our favorite wintry popcorn snacks, like gourmet handcrafted cheesy cheddar and rich caramel popcorn, resulting in a appetizing gift that perfectly spreads holiday cheer! 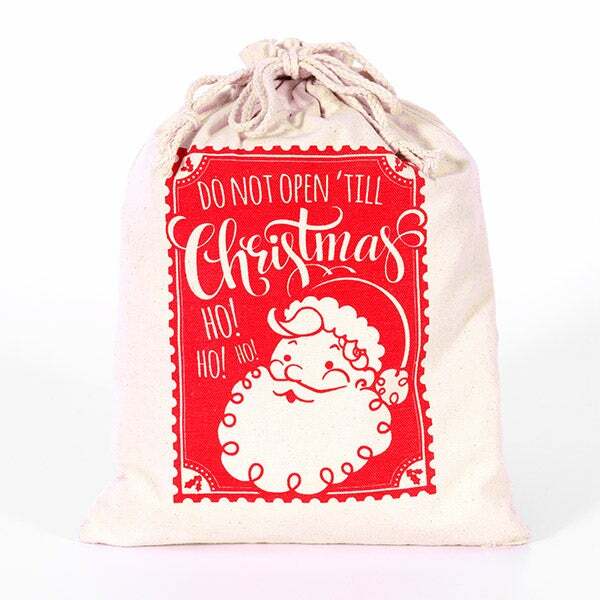 Don't Open Until Christmas Gift Bag - 14"H x 10"W - This cute gift bag is the perfect holiday keepsake gift. Cheesy Cheddar Popcorn by GourmetGiftBaskets.com - 6 oz. - Delicious cheesy cheddar popcorn sure to satisfy sharp cheddar lovers. Caramel Popcorn by GourmetGiftBaskets.com - 14 oz. - Sweet and crunchy gourmet popcorn that's drenched with irresistibly crisp caramel.